Picked up a Ninjago Monsters of Spinjitsu (5002144) polybag from Toys R US (says on the back "only at Toys R US). I like the swag on the brown clothes guy. With the exception of 6242 Soldier's Fort & 6240 Kraken Attackin' I like the 2015 sets better. Is the green supposed to be moss? If so, that explains the colouring. Good stuff nevertheless. Yes! That's it! I have the cannon. Thanks a lot. edit: only had about 10 or so missing parts, already ordered them for replacement. Below is what I got with the leftover parts. Hi all, I recently got my child's year collection of LEGO. Apparently there are some items from my brother. I tried looking through the index, but couldn't find it. Can you help identify the NinjaGo set(s) these pieces are from? I am not sure about the horse. We moved to the USA in 2000 and my brother moved back in 2003, so I would say it's safe to assume the set(s) is/are from 1999-2003, but may be wrong. Please let me know :) since I am more of a Castle and Pirate's guy and have no idea on these. After Podkar settled down in Nocturnus he found that a primitive cave wasn't enough. He set out to build a small house. Because of the foes that lie in the realm he dug out a secret trap door throught which he could easily escape and surround the enemy should they invade the house. I made a copy of the house in LDD so I can rebuild it in the future. I like to create MOCs, but I am no where near 10s and 100s of thousands of bricks so I reuse a lot. LDD allows me to keep the models. Frodo with Cooking Corner finally. I am now only missing the overpriced Elrond from the polybags. My Battle for Helm's Deep for $110 has been shipped btw. If I understand correctly, the cross-guild challenge battle for Nocturnus has just ended? Also, do we have any guild-only challenges at the moment? If not, I'll keep expanding Podkar's base. Here is a cutaway view from Podkar's cave. It's been over 12 years since I freebuilt anything so it's kind of crappy for now. As the dusk approached Podkar was pressed to find a covered area for the night. He found a small cave a few meters off ground level which seemed naturally formed without any trace of wildlife. He put on the realm's banner at the entrance to let his presense be known as well as a fire to keep the wild beasts and flies away for the night. He fell asleep on his make-shift hay bed. Hello fellow Nocturnus inhabitants! I present you Podkar: Podkar is a lone survivor of a massacre in his home camp. After escaping he devoted several years to mastering two-handed weapon combat. He is also skilled in engineering. Podkar wears light plate armor with heavy protection to the head. Recently Podkar landed at the southern shore of the Rakath Mountains. He figured he will best fit into the world of Nocturnus. His first task is to build out a basic camp into the mountain and begin his saga. Podkar carries a few jewels which he uses for trade when needed. Pictures of incomming camp soon to follow. Scored a 9474 Battle for Helm's Deep for $110 from BL. Hopefully the seller goes through with the order. Oh boy... I still need to completed the 2 Hobbit and 2 LotR sets before any new ones come out. Helm's Deep is next paycheck. Then Orthanc... It's just so hard to balance stuff for my car and LEGO :D. I picked expensived hobbies. 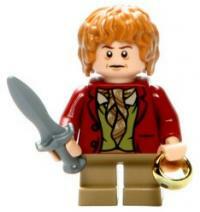 Just bought a mint in open box LEGO 9472 Attack on Weathertop. The bags and instructions are untouched, I am not sure why the tape seals were off. It was at K-Mart so I wasn't surprised... The price was right, too. I like to keep the boxes and didn't want to pay a premium online.